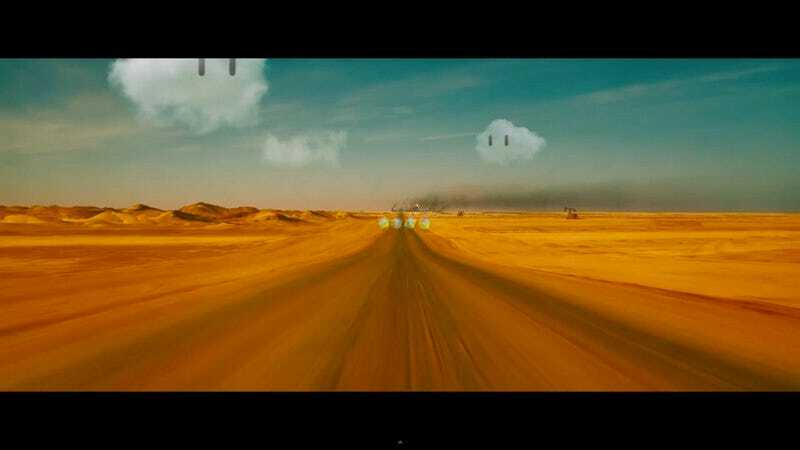 Two great delivery systems for vehicular disaster and aggressive driving T-bone into each other with this mashup of Mario Kart and Mad Max: Fury Road. Created by Kris Sundberg, this video uses the original trailer for the film and inserts audio, along with little visual tics from the game. Watching Chomp-Chomp take out a Warboy car is particularly entertaining, as is hearing Wario’s cries during the epic sandstorm crash. The creators lose some points, though, for making Nux a Koopa Troopa instead of Dry Bones, which he clearly would be. If there’s ever a live action Mario Kart film, a post-apocalyptic world gone mad may be the way to best explain the insanity behind it all. Or perhaps it’s best just not to make one and simply let this video suffice.